The iPhone Dev Team have been teasing an untethered jailbreak for the newest iDevicesÂ on iOS 4.2.1, for a while now. The rumour was that Christmas weekend would be the release date. Well, they came really close, and released a beta of Redsn0w to beta tester who have a Mac, and were willing to possibly mess up there iDevices, to help the greater good. Over the Christmas weekend weâ€™ll be releasing a version of redsn0w that implements the â€œbackup planâ€ to the 4.2.1 untethered jailbreak. Â Weâ€™re seeking your help to test this redsn0w and find any bugs before we do a general release! To keep things manageable, this will be a Mac-only test program. Â We also request that any volunteers *NOT* need the ultrasn0w unlock (in case things go very wrong). If you fit all the above qualifications, please followÂ @redsn0w_testers on twitter for announcements, and use the comments section here for feedback. Â Thanks very much for your help, and Happy Holidays! 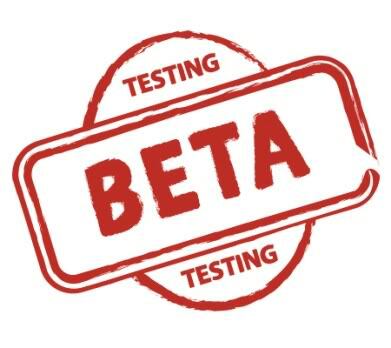 This is aÂ betaÂ tester program. Itâ€™s not a general release! Â Things can go very wrong, so please donâ€™t even consider testing if you have pictures or other media on your device that you havenâ€™t backed up! For the same reason, please donâ€™t participate if you rely on the ultrasn0w carrier unlock. Â Wait for the final version! This very first beta1 is limited toÂ iPhone4, iPad, and iPod touch 4G. Cydia must have your 4.2b3 SHSH blobs saved on file. Â (As we approach a general release, weâ€™ll provide a way to let you use locally saved hashes too). You must already have theÂ usbmuxd software installed and running on your Mac (this requirement will eventually go away too). The correct invocation of the relay is just as that page says: â€œ./tcprelay.py -t 22:2222â€. Â If the relay isnâ€™t installed or running correctly by the time the redsn0w ramdisk has started, youâ€™ll need to restore to stock FW again to try it again. Please test it beforehand to save yourself some time! Update #2: The second beta is now available (testers ONLY please!). Â This version should fix all the native app crashes (including Task switcher). Â Thatâ€™s theÂ only change in from beta1â€¦.Bluetooth is still disabled. Update #3: The third beta is now available (testers ONLY please!). Â This version extends the fix made in beta2 over to the non-GUI programs too (like the daemons that handle media content). Â That should cover things like Facetime, Winterboard themes, and embedded videos in iTunes. Â If you had trouble using the usbmuxd in previous betas, please wait until we incorporate that into redsn0w itself (i.e. donâ€™t bother trying this beta3, just wait for the integration). redsn0w 0.9.7b3 (OS X). Â Please test this after a fresh restore (otherwise itâ€™s impossible to keep track of the variables involved). Select â€œJailbreak Monteâ€ to try out the untether.